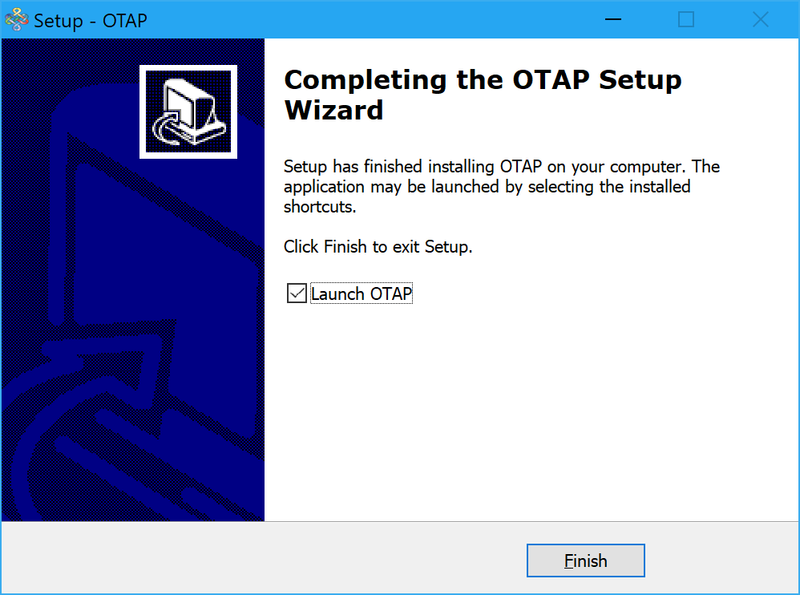 This article explains how to download, install, and set up OTAP for Windows. 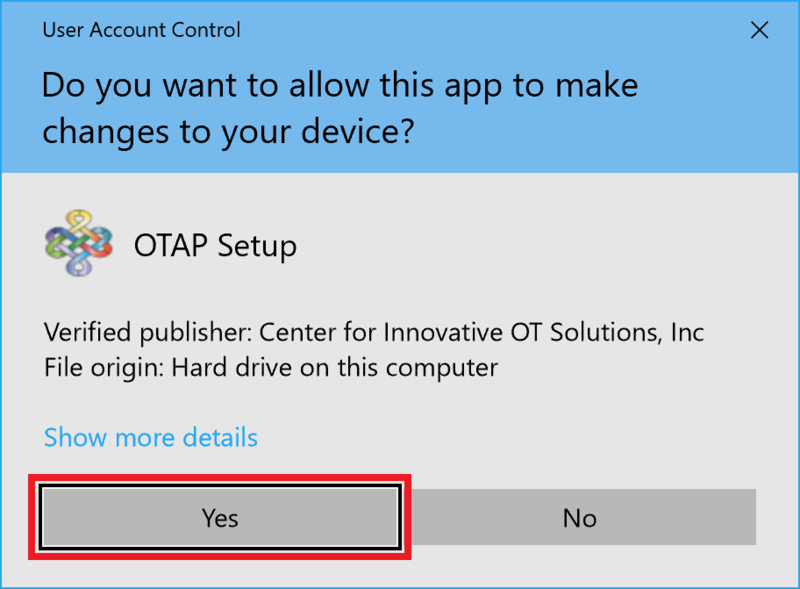 Before installing OTAP, see the OTAP System Requirements. 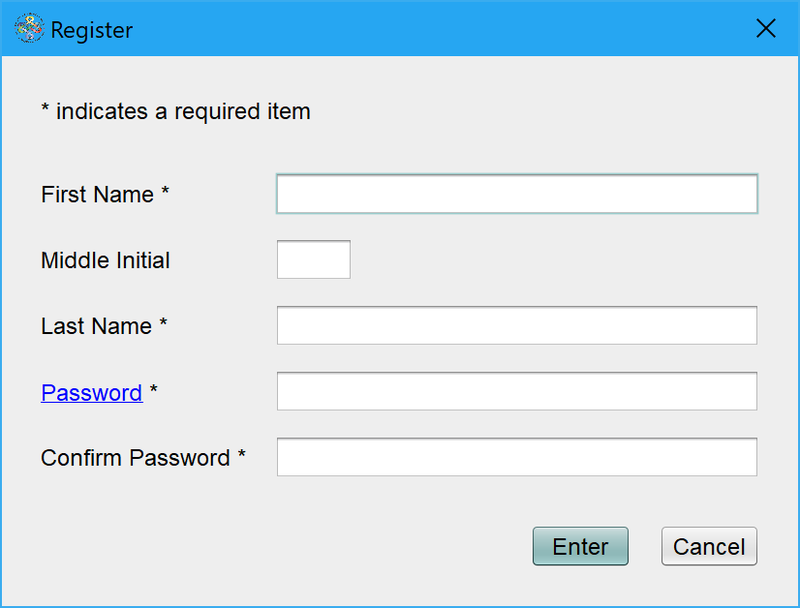 If Windows Defender continues to prevent you from running the installer, then contact your computer administrator and request that he or she add https://raters.innovativeotsolutions.com to the Trusted Zone. See more about Windows Defender SmartScreen Group Policy and trusted zones. Advanced option. 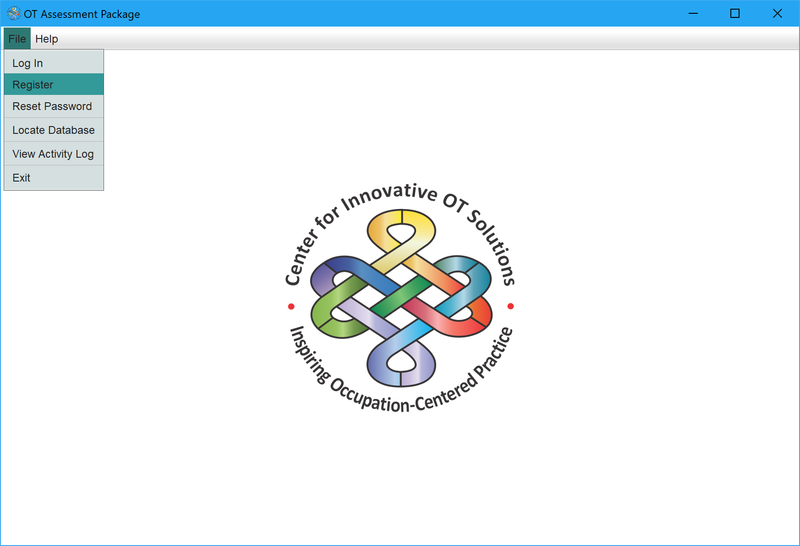 Click Browse to select an alternative OTAP installation location (e.g., a network drive). Contact your computer or network administrator for acceptable options. Advanced option. 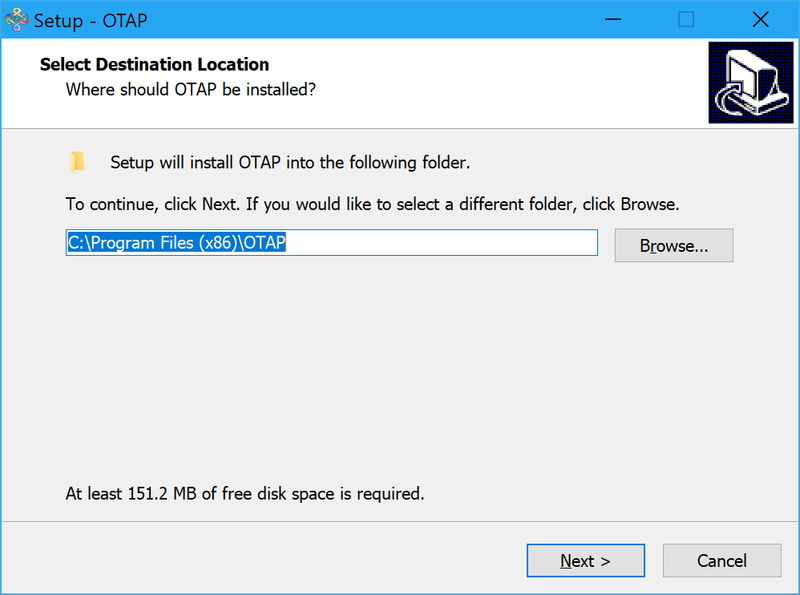 If your computer administrator has already installed an OTAP database, then click Search to find and select your existing OTAP database (otapDatabase.otdb); you may then skip the next step. Advanced option. Click Browse to select an alternative OTAP database location (e.g., a network drive). Contact your computer or network administrator for acceptable options. Advanced option. 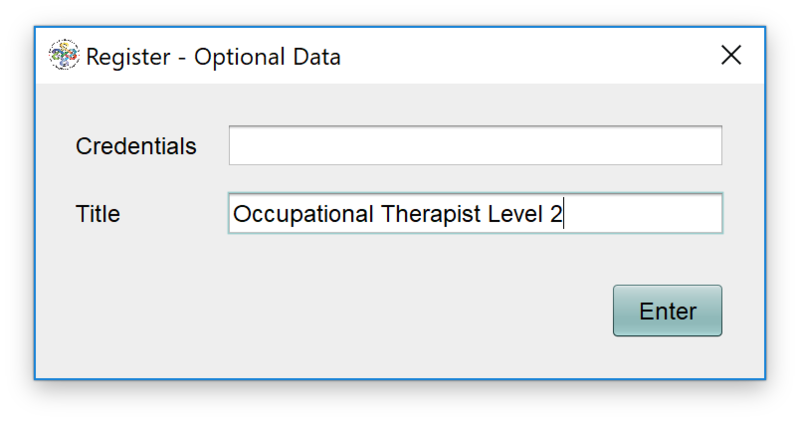 Regular mode allows you to save client names in the OTAP software. Click Anonymous to install OTAP in Anonymous mode. Anonymous mode does not allow you to enter client names. 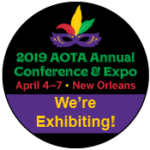 Each client is assigned a random OTAP ID number that you must retain and secure by according to the established procedures that also apply to code books and paper copies of test score forms. If you need to get your OTAP license key, click Retrieve Key (Internet connection required).